Pammy Blogs Beauty: Deal Alert: Atlanta’s Oka-B Shoes Hosts 2nd Annual Summer Warehouse Shoe Sale!!! Deal Alert: Atlanta’s Oka-B Shoes Hosts 2nd Annual Summer Warehouse Shoe Sale!!! Atlanta’s Oka-B Shoes Hosts 2nd Annual Summer Warehouse Shoe Sale!!! Hey fellow Atlanta-area readers: you are going to want to check out this awesome sale! 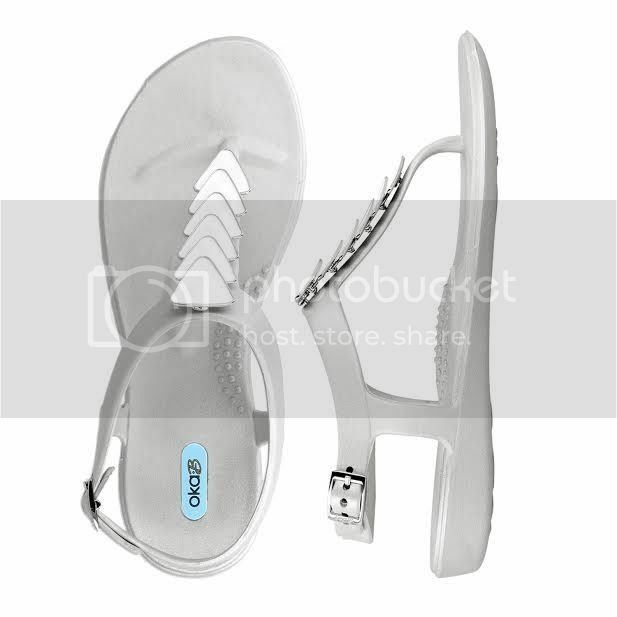 Oka-B Shoes, my go-to brand for flip flops and cute jelly flats, is having a Warehouse sale. The prices are unbelieveable: All Shoes - $5 - $7 a pair! The sale is this Friday, June 19 from 10:00 am -4:00 pm. All Shoes - $5 - $7 a pair ($5 a pair flip flops and $7 a pair adorned styles)! These styles are normally anywhere from $25 - $40 a pair, so a great deal! For more information about Oka-b, visit their website. I love the Oka-B's that are already in my shoe collection and certainly want to go and scope out some new pairs! What really stands out to me with Oka-b shoes is the wear. My assortment of Oka-b flip flops (I honestly wear a pair almost every day) never seems to wear out. The shoes hold up unbelievably well. Such great quality and made right here in Buford, GA! All Oka-B shoes are waterproof, non-slip, dishwasher safe and made in the USA. Oka-B offers customers an endless palette of shoe colors and styles, adorned with natural seashell, gemstones, and ribbon. Oka-B is founded on the principle that fashion and comfort should never be mutually exclusive. Each season Oka-B designers adapt runway trends to introduce new designs to the Oka-B collection. From summer brights to subdued fall tones, bridal collections to the casual weekend flop, there's an Oka-B sandal for every look and for every occasion. With sophisticated lines and innovative construction, Oka-B shoes are inspired by the latest runway looks yet designed to feel like a foot massage with every step!